Post 227 is a part of the American Legion, an organization that was chartered by the US Congress in 1919 as a patriotic veterans organization devoted to mutual helpfulness. It is the nation’s largest veterans’ organization, committed to mentoring youth and sponsorship of wholesome programs in local communities, advocating patriotism and honor, promoting strong national security and continued devotion to fellow service members and veterans. The Legion’s success is entirely dependent on active membership, participation and volunteerism by members of Legion Posts in local communities. The Legion belongs to the people it serves and the communities in which it thrives. Post 227 is named for First Lt. Starr Sutherland Jr., who was killed in action at the Battle of the Bulge on January 4, 1945 and is buried in the Luxembourg American Cemetery. Post 227 was established in March, 1948, in Shoreline, Washington. The Post auxiliary was established about the same time. Starr graduated from Lincoln High School in the Wallingford neighborhood of Seattle. After finishing high school, he enrolled at the University of Washington. With the outbreak of WWII, he left the University in 1943 to join the US army. Two weeks before his death, in a letter he wrote to Ensign William McBride, a fellow fraternity brother, Starr was clearly anticipating the end of the war. In Shoreline, Post 227 meets at 7 pm on the first Tuesday of each month from September through June in their building at the corner of NE 146th Street and 17th Avenue NE. 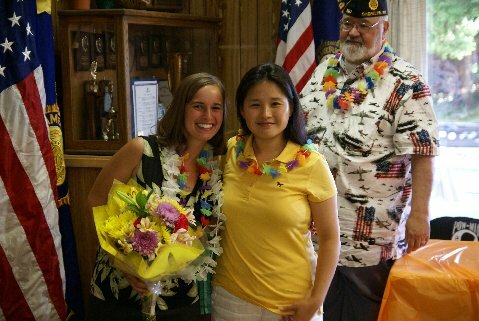 Veterans of the US armed forces are welcome to join Post 227. 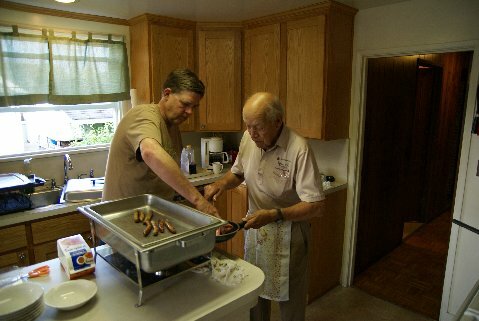 The post participates in a variety of activities to serve the local community, the State of Washington and the nation. In the Boys State program, founded in 1935, the Post helps select high school junior students each year to attend Boys State at a college or university to learn about the functioning of state government. Two Boys Staters from each state are selected to participate in Boys Nation, where they travel to Washington, DC, to learn about our US government. In the American Legion Oratorical Contest, founded in 1938, high school students under the age of 20 are chosen to compete in speaking on a topic chosen each year by the American Legion. Winners at the local level advance to compete at the state level. State winners travel to Indianapolis to compete in national competition. Winners are rewarded with college scholarships funded by local posts and other organizations. Post 227 helps to support the Special Olympics program. For over four decades, this program has been offering adults and children with intellectual disabilities year-around training and competitions in Olympic-style sports. Post 227 provides volunteers and funds to the VA Hospital, the Fisher House, the USO at SeaTac airport and Salvation Army Housing for homeless veterans. We also support other groups that are assisting active duty personnel, veterans and their families who have recently returned from the Middle East. Each year, Post 227 offers a Life Changer Award. The public is invited to nominate for the award anyone who has made life better for others. May 1 is the deadline for nominations, which are then judged by a committee of Post 227 members. The winner receives a framed certificate and a $200 gift certificate to dine at the Sky City restaurant atop the Seattle Space Needle. The above programs are a sampling of Post 227 current interests. Our activities are limited only by the willingness of post members to suggest projects and to participate in them. If you are a veteran of a US armed service and would like to participate in Post 227 activities and comradeship, you are welcome and encouraged to join Post 227. Just show up at the Post 227 building at 7 pm on the first Tuesday of any month, September through June and you will find a friendly welcome. 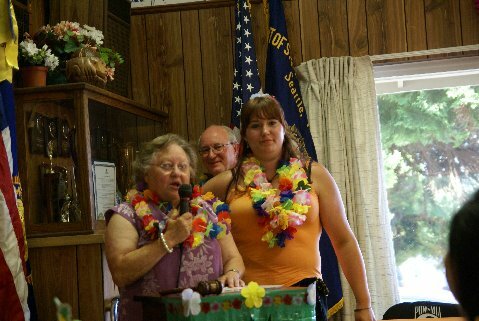 A Women's Auxiliary of American Legion Post 227 was formed on _______. Our Auxilary is very active in supporting veterans and community causes and has over the years contributed a considerable amount of money to them. We have every reason to be proud of our Auxiliary. Auxiliary members are always anxious and willing to co-operate in every Legion activity. MEMORIAL DAY has always been an outstanding occasion in this community. 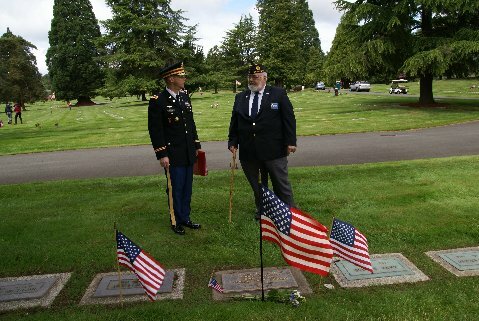 In addition to memorial events throughout the Shoreline/North Seattle community, the goal of every Veteran to it's last man is to keep MEMORIAL DAY sacred to the memory of our war dead of all of the wars of the country; and all graves are decorated on this National Holiday. ARMISTICE DAY, now called VETERANS' DAY, originally marked the end of fighting in World War I. It is an important holiday on the calendar of Legionnaires everywhere and in the hearts of all Veterans. Annually the Post works with the Shoreline Veterans Association to sponsor a recognition of Veteran's Day at the Shoreline City Hall.